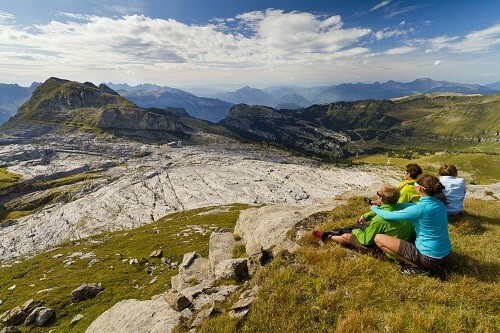 The diversity of the Grand Massif resorts is matched only by the extent of activities available to you! Whatever the season, multi-activity is the way to go. 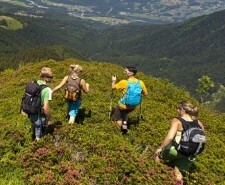 You are bound to find an activity that satisfies your desires, whether you are looking for a relaxing holiday, an active sporting holiday or you just want to try your hand at a little bit of everything. 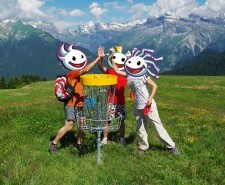 At the top of the Samoëns gondola, discover the new outdoor activity, fun and friendly accessible to all: disc golfing. 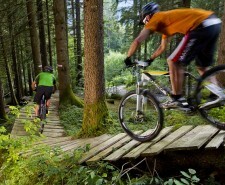 Mountain bike riders, whether touring or thrill seeking, can set out on a multitude of tracks and trails throughout the Grand Massif. 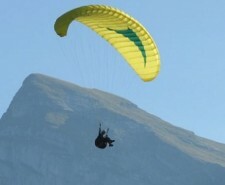 Take to the air with a paraglider from the top of the Tête de Saix or the Kédeuse gondola in Les Carroz; do away with the usual logistical worries.